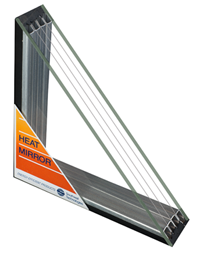 Heat Mirror advanced insulating glass systems are found in the most energy efficient windows on the market today. They may be the smartest, too. How Does Heat Mirror Glass Work? Heat Mirror technology, which was invented by scientists at the Massachusetts Institute of Technology, suspends one or more lightweight films inside the airspace of an insulating glass unit to create multiple “super-insulating” chambers. The films utilize nanoscale coatings of metal to reflect heat back to its source. The technology can be combined with a wide range of glass types and gas fills that allow consumers and architects to choose the right level of insulation, visible light and solar control for their specific needs. And the innovation continues with next generation Heat Mirror insulating glass, which is now being produced by Eastman on the world’s most fully-automated Heat Mirror IG production line to make this exciting technology available to the broader Residential and Commercial markets. 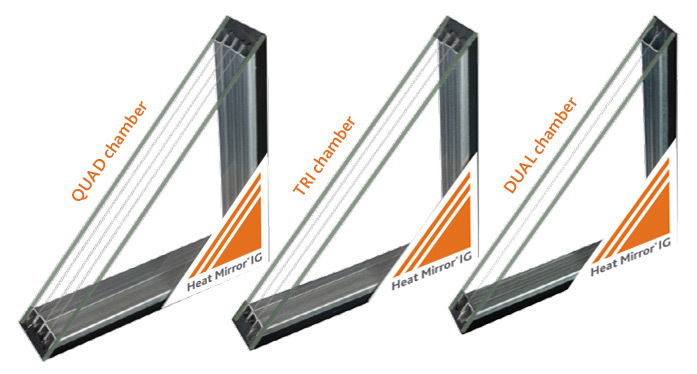 To make sure you get the exact window performance for your project, Heat Mirror advanced insulating glass provides a wide range of visible light, solar control, and thermal insulation to meet almost any performance requirement. Upgrading existing windows with Heat Mirror insulating glass is like adding new rooms to your home, because you’ll now be able to enjoy them year round.Depending on the number of films and the type of inert gases added within, insulating glass made with Heat Mirror technology can have an R-value from 6 to 20, which can insulate as well as typical walls. With such performance, windows made with Heat Mirror technology can substantially lower your energy bills. It makes sense that the most sound window system also blocks the most sound. Heat Mirror technology blocks outside noise—up to 5 decibels better than double-paned windows—creating a comfortable refuge in your favorite places. Heat Mirror window systems can block over 99.5% of harmful ultraviolet (UV) radiation—a known carcinogen. Let the sun shine through without worrying about it prematurely fading your drapes, furniture, floors, photographs, artwork, and anything else you like to show off indoors . . . including your skin. Upgrading existing windows with Heat Mirror insulating glass is like adding new rooms to your home, because you’ll now be able to enjoy them year round. With maximum UV protection and incredible energy efficiency, Heat Mirror® insulating glass provides more architectural and interior design freedom for architects, builders, and homeowners alike.